OpenAgile London 2013 – March 18th – UWO!!! OpenAgile London 2013 is the first annual conference focused on OpenAgile and how it is used in organizations by real teams. London was chosen due to the great learning environment with both the University of Western Ontario and Fanshawe College being located here. This conference is meant to help both students and professionals by providing learning and networking opportunities. The purpose of OpenAgile is to create an environment in which people are free to express their true nature and capacities to contribute to the betterment of their organization. We welcome you to participate in this informative and inspirational event that will give you the tools for the future of management! I’m pleased to announce that a mini-conference for OpenAgile, with some great speakers, has been planned and is ready to accept early-bird registrations! The conference takes place in London, Ontario (yes, there is an airport) at the University of Western Ontario on March 18th. I will be one of the speakers, along with some great industry leaders! I look forward to seeing some of you there! The most popular Agile certification! This two day course gives you the foundations to be an effective ScrumMaster and contributes towards the requirements of the Scrum Alliance’s Certified ScrumMaster program. 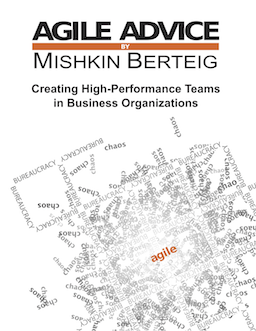 Delivered by Berteig Consulting’s own Mishkin Berteig!